Reshaping cities. Probably not how Harvey meant. Gundam urbanism? Kunstler and the Congress for the New Urbanism have been relentless in branding what is bad urbanism (cars, parking lots, failed public spaces) and what is good urbanism (recessed garages, lively front stoops, activated public space with permeable membranes). But good and bad are subjective and simplistic. 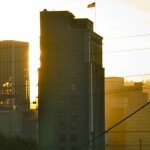 What’s good for the developer is usually bad for the squatter or the houseless, and vice versa. We need a bit more clarity. The following ‘good‘ urban terms are legitimate in their non-satiricalness. Tactical urbanism – Doing a thing in a urban space that may or may not be sanctioned or permitted with intent on improving that public space in some way, that’s tactical urbanism. Often, this term is interchangeable when referencing actions that are in direct response to oppressive regimes like car culture, and would then appropriately fall under Insurgent Urbanism. Now, you could argue the state leveling houses to build freeways is improvement for the public good. You’d be wrong, and you’d be describing the routine, top-down planning process that’s mutilated cities into automobile slums. 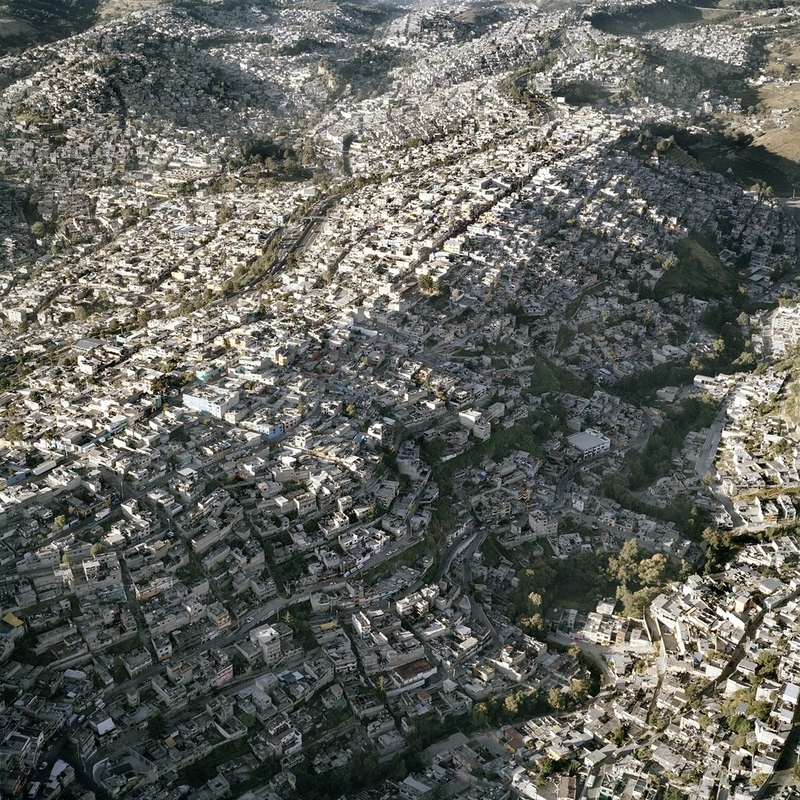 The tactical, the insurgent, these are about people reclaiming and holding space – whether permanently or temporarily – and altering it in some way with the hope of conveying a message about what future cities ought to be. If the recent illegal sharrows painted down the Avenue of the Americas in NYC are any indication, Tactical/Insurgent urbanism are enduring practices here to stay. User-Generated Urbanism – I would like this term if it elevated the perceived social standing of people sleeping on the street as also being ‘users’ that are ‘generating’ urbanism in creative and vital ways – if only for their very survival. But this one’s really for the Walmart Lab app-slinging technobots, and comes too close to implying we’re mere consumers purchasing the product of public space. It’s been applied to truly insurgent actions like PARK(ing) Day, among other street installations, though usually only the most sanitized variations. An “illegal” houseless rest stop or an Occupy encampment would not be placed upon the User-Generated pedestal. Fortunately, I’m not alone in noticing this oversight. Pop-Up Urbanism – A little like the above, but more Sporty™. Usually stresses the temporary nature of a new shop or amenity, with the intention to show how better a place could be if the shop or amenity were permanent or re-occurring. Some will likely deem it a kind of gentrification vendor showcase, others will celebrate the rejuvination of unused space. Guerilla Gardening & Seed-Bombing – While not an actual ‘urbanISM‘, guerilla gardening and seed bombing are both growing phenomenon born from the frustrating limitations imposed by city governments and economic inequality. Such obstructions prevent community gardens from expanding into full fledged Food Forests capable of feeding thousands of families. Here in Portland, a single acre of unused ODOT lawn along the I-5 freeway could yield enough veggies to feed 20 families, and it sure would improve the view of the riverfront in the process. 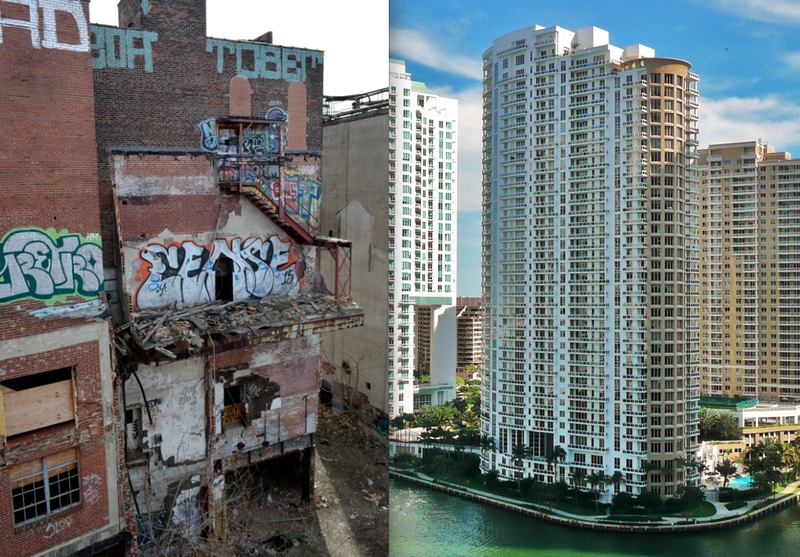 Helping to understand why the above actions are good – or at least better than what we’ve been doing – I thought it could be fun to coin more meaningfully colorful opposites that might fall under ‘bad urbanism‘. Truthfully, capital-driven developments, deliberately divested neighborhoods, and the unlivable spaces both create shouldn’t be called urbanism at all. ‘Urbanism’ implies a love of the city and its vast, complex networks of social dexterity and interconnectivity, a desire for shared equity and culture we expect from city life. But for the sake of creativity, let’s assume the worst-of-the-worst still finds a home within this vocabulary. We’ve found the problem…you’re got humans. Scorched Earth Urbanism – By applying the military term for destroying absolutely everything in sight to the prospect of developed urban space, you can conjure a few different images. One might be simple sprawl, where the ground is no longer visible, yet the terrain seems to still exist as though the Earth had simply been smothered with humans and their constructions. Another might be more post-apocalyptic, ruin-porny; neglect writ large. Don’t worry, though. What’s brick and steel wreckage today will be the glass and concrete white-collar enclave of tomorrow. Another vision of ‘scorched earth’ might be more of a ‘cauterized-earth urbanism’, where everything is so manicured, sterilized, and pristine that a pressure of rigid social normality prevents anything spontaneous or fascinating from happening. Welcome to your ‘vertical gated community‘. 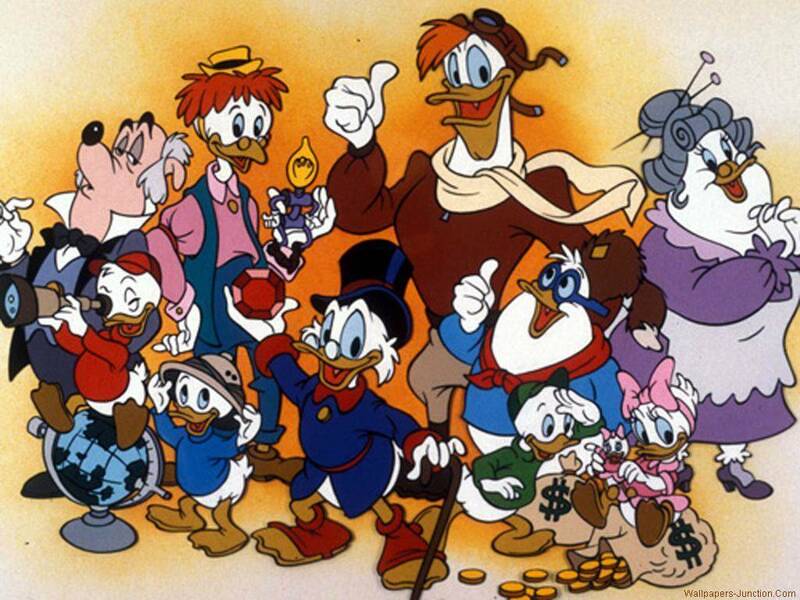 Aristocratized Urbanism – Could also be called ‘Uncle Scrooge Urbanism’ for anyone who grew up watching Ducktails. Born from one of the grandest Onion pieces of all time, aristocratized urbanism has been chidded by common gentrifiers for replacing “vintage clothing stores, French cleaners, and gourmet bakeries” with “livery stables, opera houses, and private salons with champagne and [roasted] suckling pig“. Proponents are apt to dismiss this critique, citing how their brand of urbanism provides benefits to, “layabouts and wastrels” with a “veritable glut of new and felicitous opportunities as bootblacks” or “scullery maids.” Basically, Brooklyn. One of those red-pill, blue-pill moments. Metroburbianism – Perhaps the most disturbing actual trend of all, stymied only slightly after the housing crash in 2008, the term ‘Metroburbia’ has been explored at length by Paul Knox in his book by the same name. Knox details how ever-expanding rings of freeway-suburbs and exurbs merge mega-city with mega-city, and are the unstoppable, ‘comfortably numb’ ambitions of a ‘developer’s utopia’. 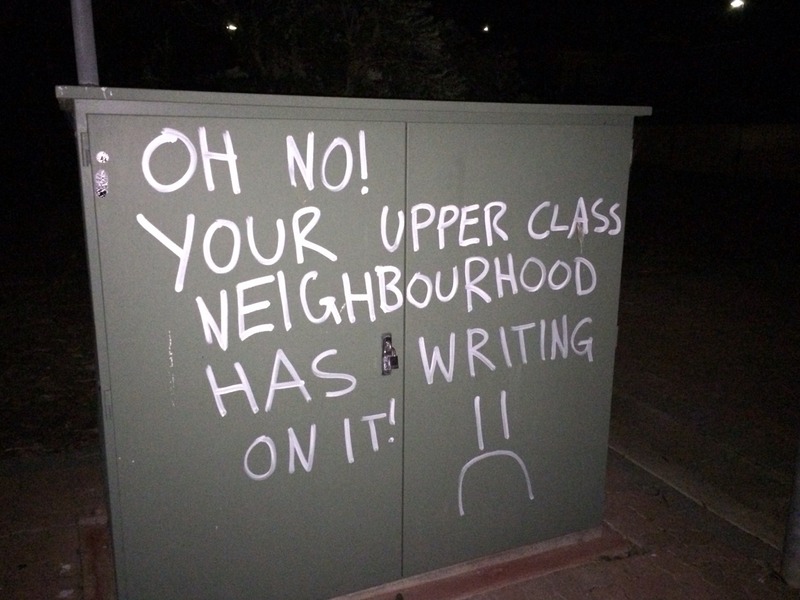 The fetishization of the individual, the commodification of experience and life-style, and the enclosure of all things private then marketed as ‘public space’ are all perverted components of suburban/exurban life in Metroburbia. Some of these I made up, some I didn’t. We’re hopefully not taking this too seriously right now. Gun-Belt Urbanism – When you paint a guerilla crosswalk to look like machine gun bullets and it makes run-of-the-mill bike/ped advocates feel uncomfortable because, well, guns. Shame-(sub)urbanism – Pointing and laughing at what passes as a bio-swale in the parking lot of Circuit City or whatever topical Big Box reference is still relevant. Hell yeah, Pimp! Urbanism – So often motorists get away with murder – figuratively and literally – due to the dehumanizing confines of metal machines and the horrific ways vehicular homicide laws are written. One comedian has seemingly made it his mission to parody this fact. He pedals about on a bike, trolling flashy drivers, mocking the vanity of their wealth, and (I’d like to think) the absurdity of driving in the city in the first place. It’s an act of bicycle revolt we should all be taking notes on. Okay, if you’ve made it thus far, I thank you. Some of the terminology here is genuine – others got imagineered on the fly, and this is just a short version of a much longer list. While we work towards building true ‘sustainable’ cities, (if that’s even realistic), it’s refreshing to step back and poke fun at ourselves while recognizing these terms help exhibit what’s really going down out there. There is a real Right to the City movement taking shape. It’s encouraging to know that by throwing virtually any term in front of the word ‘urbanism’, we might fashion an entirely new sphere of metropolitan academia. This sort of free-form curiosity serves to enliven debate and accelerate process. If such naming trends ever fade, let’s hope the grassroots spontaneity that spawned ‘Mad-Lib Urbanism‘ remains a constant. Hell, let’s just make this a thing now. Why not? See you in the user-generated streets!